Idli Recipe - How to make soft idli and crispy dosa recipe using parboiled rice in a grinder with step by step photos and video. 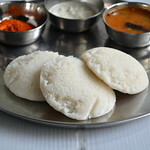 I have already posted homemade idli,dosa batter using grinder,mixie and idli rava.U may think why am I posting another recipe now.This is my recent recipe for making soft idlis and crispy dosas if the quality of rice and dal is bad. One of my readers asked me to post my recent idli batter recipe for low quality urad dal. Also I have planned to post some dosa varieties in near future. 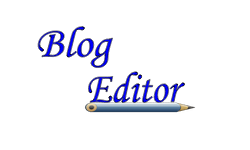 So I wanted to have this detailed post in my blog.In this post I would like to share some tips and tricks which I did not mention in my previous posts. As per my reader’s request, I hope these tips would be useful for beginners and newly wedded girls.This batter yields soft idlis as well as super crispy dosas. Without further delay,let me move on to the recipe.. 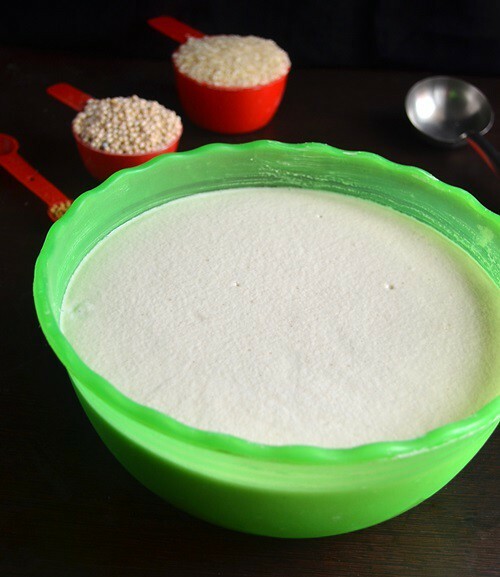 If u are in Abroad/Cold countries and looking for Idli batter fermentation tips,Check out this post . Wash the rice twice by rinsing well with ur hands well.During the first wash, the water color will be slightly yellow.For second wash,it will be white.Color of the rice would become super white.Now soak the rice in enough water for minimum 2 hours. 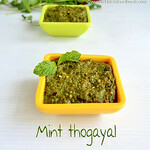 Wash once and soak the urad dal and methi seeds together for minimum 2 hours because methi seeds take 2 hours to soak well..
After 2 hours,grind the urad dal,methi first adding 1/2 cup of water initially.The dal will grind and the quantity of batter would rise and becomes fluffy.Add 1/4 cup of water for every 5 minutes.Please do not add all the water in the beginning.Stand nearby for the first 10 minutes and wipe the sides of the grinder.It take nearly 20-25 minutes taking 2 to 2.25 cups of water. 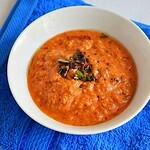 Remove the urad dal batter and keep in a wide vessel. Choose a big vessel such that there is enough room for the batter to rise well.Next add the rice while the grinder is running.Add 1 cup of water immediately to avoid the jamming. Add 1/2 cup of water for every 10 minutes.Add 1 handful of crystal salt(kallu uppu) while it runs.Totally rice takes 25-30 minutes in table top grinder to grind.It consumes nearly 2.5 cups of water.It varies as per the quality of rice. If the quality of rice and dal is bad,add little more water while grinding.No problem even if the batter becomes slightly watery.The next day, after fermentation,it would become thick. Remove the rice and mix with urad dal batter.Mix well using your hands.It is the most important point for fermentation.Close the vessel tightly with a lid and keep in a warm place(ie near fridge or gas stove or inside microwave with lights on in cold countries).Leave for a minimum of 12 hours.I grind the batter in the early evening around 4 pm and make idlis the next day around 7 am. The next day,batter would have raised very well (sometimes doubled).U could see minute pores in the batter.Do not mix the batter.Remove a ladle ful of batter from one corner and pour in idli mould.Steam for 10 minutes. I have given these tips learning from my mom,mil and from my own experience. Why idlis look yellow in color? The reasons might be due to improper washing of rice and dal.Rinse the rice well while washing.Discard the water and use fresh water for soaking.Adding more methi seeds may also give yellow idlis.Normally my mom doesn’t add methi seeds for idli,dosa batter.My mom’s idli always look super white. If the grinder or mixie u used to grind is too hot,batter may become slightly yellow.To avoid this,switch off the grinder for sometime or add ice cold water to grind the rice. Always use ur hands for mixing urad dal and rice batter.Spread ur fingers and beat the batter well.For more tips,please refer my mixie idli post.If u are in Abroad/Cold countries and looking for Idli batter fermentation tips,Check out this post . 3. 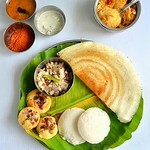 Reasons for hard idli,how to avoid? The most important reason for hard idlis is the due to insufficient amount of urad dal and inadequate water used for grinding.If u find ur idlis are hard,add more the next time and use more water while grinding the batter. Even if u add water while mixing the batter,it won’t work.So add enough water while grinding itself. 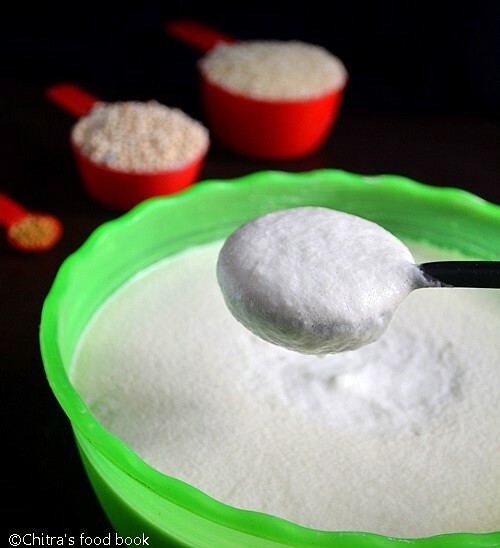 The second reason might be,batter needs more fermentation.Sometimes if u make idlis in the morning,it may come out hard.With the same batter,if u make idlis for dinner,it will come out soft.If it happens so,next time give more time for fermentation. 4. Why dosas look dry ? I faced this problem for the past few months and rectified it. So I can give u some tips based on my own experience. Usually I make idlis for first two days and for the third day, I use the same batter for making dosa by diluting it slightly. In that case, use few tbsps of water at a time. 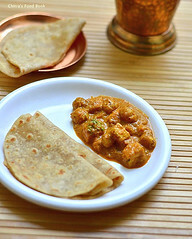 Batter should not be too thick or too thin.Consistency should be very important to avoid dry dosas. Insufficient amount of urad dal may also result in dry dosas.So use 4:1 rice n dal ratio to get a golden brown colored crispy dosas. If the dosa pan is not in correct temperature,dosas may turn dry.Also drizzle a tsp of oil al over the dosas especially in the concentric circles not only in corners. The last possible reason might be the quality of rice.Add 1/2 cup – 1 cup more water while grinding if the quality of rice is bad.Even then if u feel,it is not good,its better change the rice. For me,the problem was with the rice.I made all the above changes and still i found the dosas were dry.Finally i changed the rice.Though it is the same boiled rice/salem rice,there are different qualities which i couldn’t guess.My MIL told me to change the rice and go for a trial.Now my dosas come out very well.So if u are buying a rice for the first time,buy 1 kg , go for a trial and then buy in large quantities. 5. How to make roast dosa? 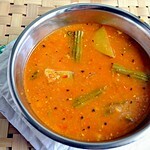 For roast dosa,take the required idli batter in a bowl.Add few tbsp of water,Mix well.Heat the dosa pan,sprinkle few drops of water to check the temperature of the pan.Take a ladleful of batter and spread it as thin as possible.Keep the flame high.Add a tsp of oil/ghee all over the dosa.The oil will sizzle.After a minute, dosa turns golden brown,cooked and corners will rise.The upper portion should be cooked by this time if u spread the batter very thinly.Else flip the dosa, reduce the flame to low,keep it for few seconds and remove the dosa. My mom makes roast dosa very well.She makes it by spreading the batter very thin,add a tsp of ghee and cover the pan with a lid.After few seconds,she removes the dosa.She don’t flip it. Use more dal based on trail anr error.U can also use 1/4 cup of aval for more softness.Skip methi seeds if u don't like that flavor. 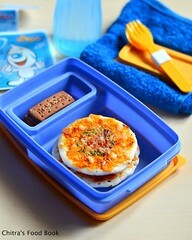 With one batter,we can make so many yummy breakfast recipes.Its cool rite.. 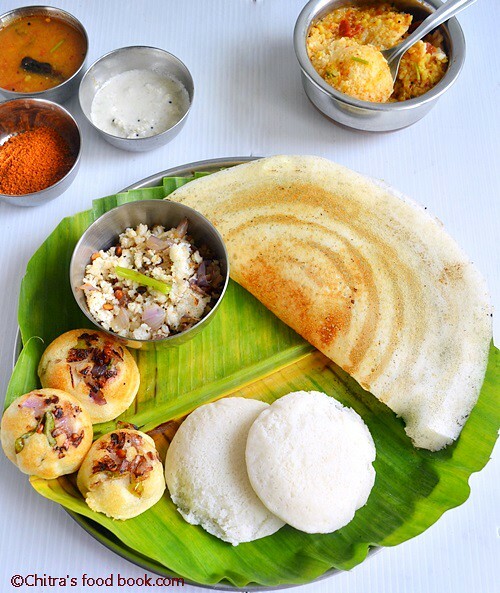 In the above picture,u can see soft idlis,crispy dosa,Paniyaram using idli,dosa batter,Idli upma and mini idli with coconut chutney,tiffin sambar,idli podi. 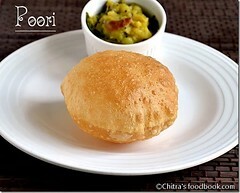 Idli,dosa batter using idli rava – easy version. 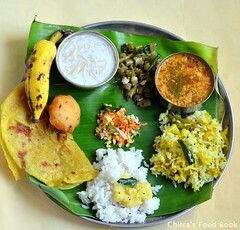 thats an useful post dear :) very tempting platter !! Very nicely explained and useful post, thanks for sharing. The platter looks delicious and tempting. wonderful spread n useful post as well!!! My ground batter has raised only a little after keeping outside for 12 hrs. But I made Idlis using a part of it, and it came out very soft. What is the problem and how can I rectify it? Rice batter draining is diificult. Can you suggest some way. 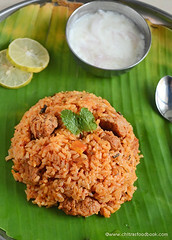 I use idly rice and good quality urad dal in the ratio 3:1. sometimes idly becomes flat. It is parboiled rice. I will try to include a picture in this post.